There is a Secret Place my husband David and I retreat to every year during the fall colors of October, setting aside a weekend to honor another wedding anniversary God has so abundantly blessed us with. Our Secret Place has a front row seat to this beautiful lake, a living portrait of waves slow dancing to its own music, a private reception of splashing and swimming to the sandy shores like young love on their honeymoon. The hours David and I spend reflecting together the love we share so deeply rooted in our hearts, fully alive because of the well in God we draw from. 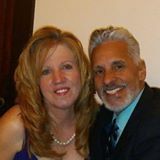 David and I celebrate the pearls in our marriage, as to create such a pearl of great price are those irritant’s that force you to your knees in surrender to God; the author who scripts the pages of true love. It’s during this getaway a candle burns as a remembrance of the continual love that shines through the eyes of two people who can’t see one without the other. Our weekend is a patchwork quilt of small moments of just “the two of us” stitched together with memory threads by the fire over coffee and a new book we read every anniversary as an investment into our lives as husband and wife. Our Secret Place is a treasure chest we open every October to hold close and remember the gifts of time already shared together, adding another weekend of Newlywed love and laughter until those anniversary leaves begin to fall again next year. Pondering the heart of God in the Garden he masterfully created in the beginning, eyes are blind and inadequate to imagine the grandeur and beauty of such a Secret Place he designed to share such intimate time with us. Even though the Garden closed its gates forever due to our fall, God still longs to inhabit that Secret Place of our heart. Walking with God the paths of this Secret Place, I hear a symphony of birds singing in unison while being led to the hidden places for two. Waters lapping the rocks during its swim downstream echoes as a rain forest through the trees while walking the fields of wild flowers blooming for our amazement. God’s Secret Place longs to overwhelm our hearts in His love. Sitting together at this intimate spot for two, one might be nervous for an appropriate response for Him. With God encompassing all love, communicating our love in return could reflect itself through many mirrors as in “The Five Love Languages”, Written by Gary Chapman. While Mr. Chapman’s book is written for persons communicating love to one another, since GOD IS LOVE, surely he responds though the five love languages of “words of affirmation, gifts, meaningful touch, acts of service and quality time”. ….wake the dawn with my song. God desires to share that Secret Place of your heart. God desires that moment in your Secret Place as “just the two of us”. May we without hesitation make room for Him in our Secret Place. May we like young newlywed’s run barefoot through the wild fields of love to that Secret Place to be with our God.